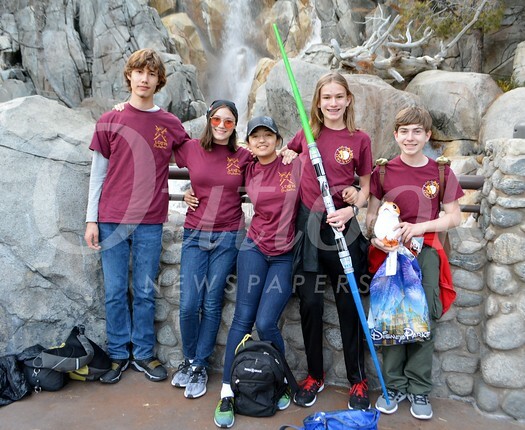 The La Cañada High School 7/8 Symphonic Band recently had a special experience at California Adventure. They were able to go backstage and experience what it would be like to be a studio musician. They played under the direction of Tim Griffin and their music was then put to a Disney animated feature. After their time backstage they enjoyed the park. LCHS band director Jason Stone and 7/8 band director James Myers accompanied the students.